Where is it ? 70 Kilometres west of Faro Airport. Approximately One hour by car. How Big is it ? 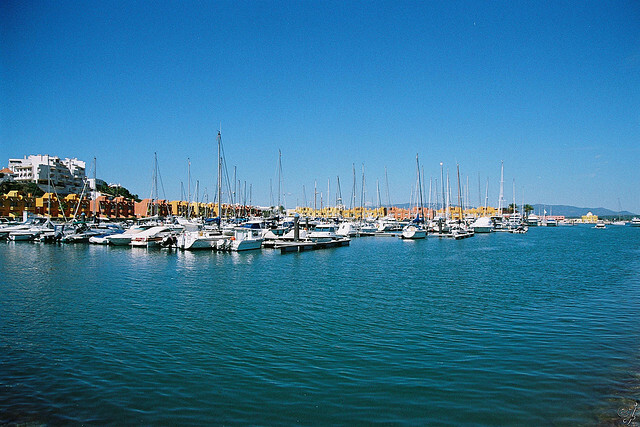 Portimao is the second biggest town of the western Algarve, a commercial and industrial centre. Who goes there ? Portimao is a working and industrial town. It is not entirely geared for tourism but borders on some major tourist resorts. Great for shopping and a good spot for clubbers looking for some late night partying. What about food and accommodation: The Marina and seafront of Portimao is renowned for an excellent selection of bars and restaurants and some of the best seafood and sardines in the Algarve. The well established resort of Praia da Rocha is only five minutes away and has a vast selection of lodgings available all year round. Portimao’s history can be dated back to the time of the Roman occupation when the town was known as Portus Magnus. A continued history of Fishing, Trade and Industry have made Portimao what it today, A working town that does not pander to tourism yet retains a genuine Algarvian style and has some of the best shopping and selection of services to be had in the region. Being a working town, Portimao is not renowned for its beauty however the riverfront gardens of Largo do Duque, Pracac Visconte de bivar and Praca manuel teixera gomes provide pretty sheltered gardens surrounded by small cafes and bars. The main shopping centre is the Rua do Comercio and the Rua Vasco da gama. There s also an old market near the old jesuit college. Portimao Marina hosts some of the best boats of the Algarve and is a regular host to local and international sailing events. Motor racing fans can visit the Purpose built Racetrack. autodromo Internacional Do Algarve. Host to International racing events, Off season testing and a purpose-built Kart track. The neighbouring seaside resort Praia da Rocha is home to the areas most famous beach. Post Office: Praca Manuel Teixeira Gomes.